Week Thirty Four and I felt we were all a little “caked out ” so I wasn’t sure what to make. I had been invited to a fund raising lunch for 2 friends at work who are bravely walking 20 miles around Leeds Castle soon in aid of a Breast Cancer Charity ( They did the Moon Walk last year) and so I decided to make and donate some cupcakes to help them with their fundraising. Mary Berry‘s recipe was very straight forward, put all the ingredients in a bowl and mix thoroughly. 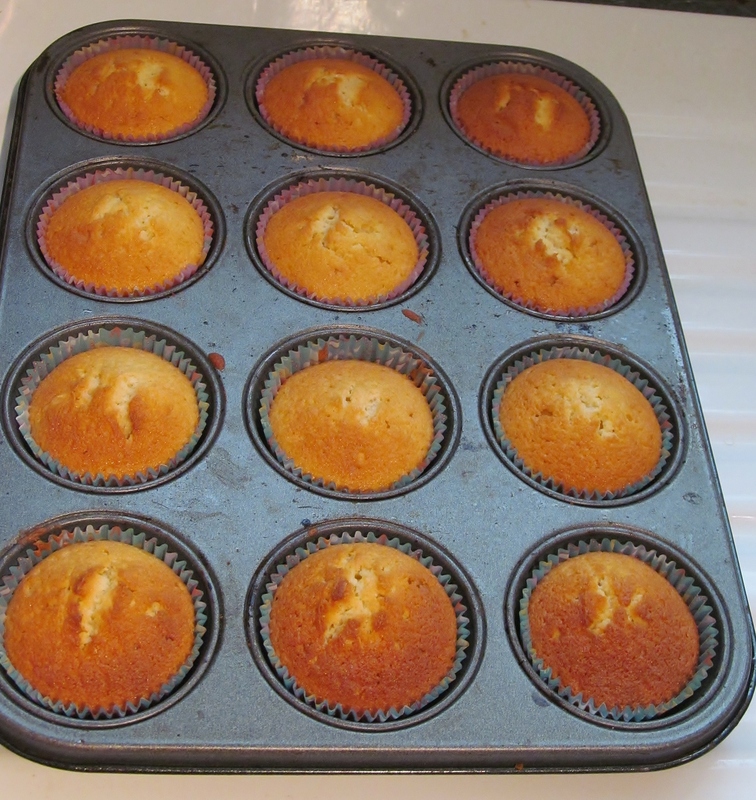 I put some pretty cupcake cases in the tin, divided the mix between them. The only twist to this to make it my own was that I added 2 strawberry chocolate buttons in the centre of each cake and put the tin in the oven and set the timer. Half an hour later, the pinger sounded and I checked the cakes. They were all evenly baked and risen so out they came while I made the butter icing topping. 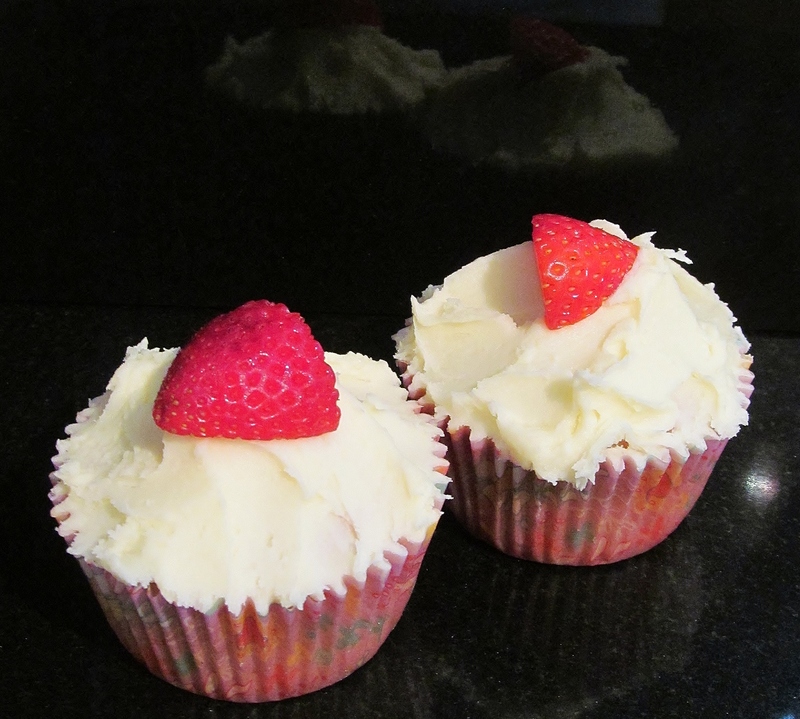 Instead of adding a little vanilla essence to the butter icing, I added some strawberry essence. Once the cakes were cool, I spread some of this on the top of each cake and added a slice of fresh strawberry to complete the cake. I would also like to take the opportunity to dedicate this page this week to a dearly loved friend and colleague who lost her battle to this disease, gone but not forgotten. Lorraine Day, we will never forget you. 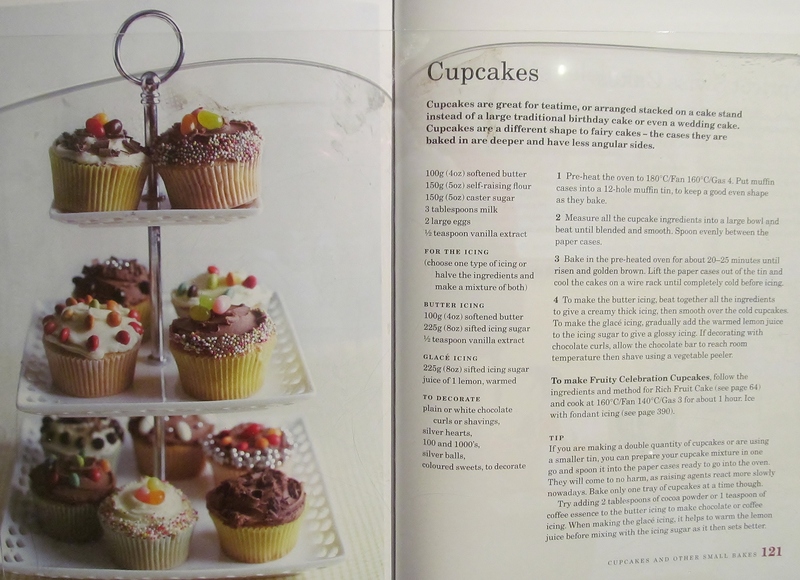 This entry was posted in Kim's cake challenge and tagged breast cancer care walk leeds castle, Buttercream, Cake, Cook, Fundraising, Home, kims cake challenge, Mary Berry, Mary Berry's cupcakes, Moon Walk, Types of chocolate by kimsideas. Bookmark the permalink.